(MIRAMAR, Fla. and IRVINE, Calif., Jan. 15, 2019) - Hytera, a leading global provider of innovative Land Mobile Radio communications solutions, is announcing today the Hytera Smart Dispatch application, which offers end users all of the latest dispatching features in a single software solution, enabling voice dispatch, text and status messaging, telemetry, vehicle location, voice recording and security management in a single package. The system allows dispatching from multiple sites, modular design and Voice-over-IP (VoIP) support. Smart Dispatch is an integrated software system that can be tailored to many business needs. Whether a business focuses on transportation, parks and recreation, security or emergency, technology requirements can change daily and a rapid response to customers and business challenges is needed. With flexible system deployment and an easy user interface, Smart Dispatch has a modularized design that can be customized based on customer needs. It delivers an enhanced dispatching and deployment platform with tailored communications tools, such as remote monitoring, voice recording, and geofencing. All configurations of the system can effortlessly be managed through a remote configuration tool. Radio dispatchers have been developed for use with professional two-way radio communications systems and provide an essential set of features for control room operators to ensure effective communications. During an emergency incident, the radio dispatcher often becomes the most critical asset in situational coordination. The built-in mapping application enables operators to see the location of radio users and immediately take control. And in post-event scenario management, teams can analyze all communications and instructions to develop processes for the future. All location information of radios and voice recordings are stored in the system's database for later retrieval and review. The system automatically remembers the status of radios including check online and tracking from before the users logged out. "The radio dispatcher is often the most critical asset on the two-way radio network, vital for control room operators as they communicate with their teams, especially in times of intense pressure," said Felix Vayner of MicroMagic Radio Communications in New York. "My customers in education, healthcare and transportation rely on this product to ensure they can efficiently manage their teams, regardless of their physical locations." 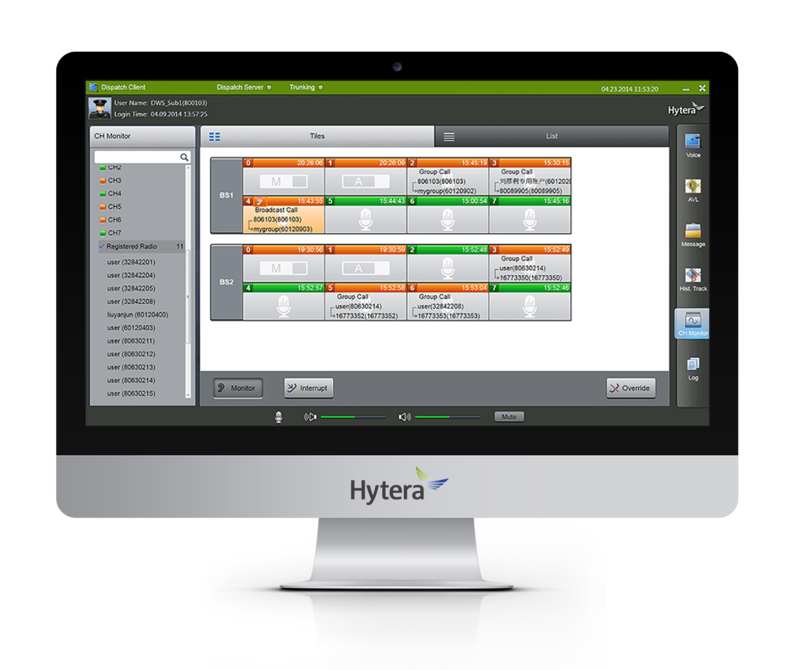 "You cannot afford to be unprepared to manage your fleet," said Steve Cragg, VP Sales, Hytera America, Inc. "Our Smart Dispatch system allows organizations to rely on a single software solution and ensure a prompt and well-managed response is put into action in every situation."